If you have a variety of skills to offer, you’re much more employable. This makes logical sense but sometimes we forget it. Often, we spend so much time convincing companies we meet their minimum entry criteria that we forget to show off our additional skills and talents. 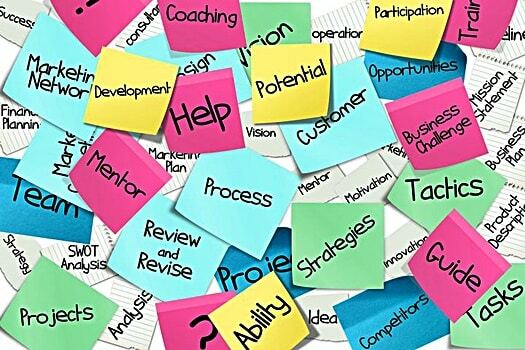 In this article, we’ll show you 25 ways to build your employability skills. In reality, you probably have many of these skills already, but you might not be presenting them in the most effective way. Read on and we’ll show you how to come across as a very employable person. 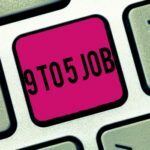 1 What Makes a Person Employable? 1.1 What Makes a Graduate More Employable? 1.7 Are You More Employable with a Master’s Degree? Most employers look for candidates who are “well-rounded.” Well-rounded people can cope with busy and demanding environments because they have a range of skills, competencies, and character traits to draw upon. But how do you show employers that you are a well-rounded person? Enhance First Impressions – Does your resume scream “hire me!”? Are you confident and dynamic when you walk into an interview room? First impressions matter a lot. Develop Your Soft Skills – Soft skills are necessary for most jobs, so don’t underestimate their importance. Enhance Your Hard Skills – Building your technical skills can certainly help to make you more employable. We’ll show you which “hard skills” to focus on. Hobbies and Extracurricular Activities –You learn many of your “soft skills” during your leisure time so don’t erase hobbies from your resume. From an employer’s point of view, you’ll seem energetic, resourceful, and interesting if you make the most of your leisure time. We’ll show you which hobbies are most impressive from an employer’s perspective. If you focus on all 4 of these areas, you’re bound to become more employable. What Makes a Graduate More Employable? If you are a graduate, you’ll need to show employers that you’re a well-rounded person. In fact, when it comes to demonstrating employability skills, the expectations are even higher for graduates. If you’ve recently graduated, you probably don’t have much work experience. As such, you’ll need to show companies you have transferable skills. 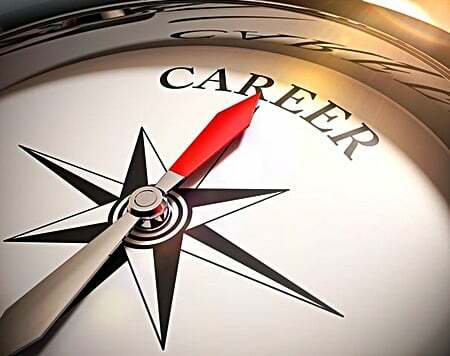 Graduate recruiters look for well-rounded candidates because, in many graduate jobs, you’re expected to navigate your own career path. Often, the scope of the job role is quite flexible and it’s up to you to guide your own development. As such, employers prefer to recruit graduates who are resourceful, self-aware, and proactive. Finally, graduates often begin their careers in supervisory or middle management positions. To be an effective leader, you’ll need to have a variety of skills and experiences to draw upon. If you are a graduate, you can enhance your job prospects by improving your “soft skills” and getting involved in extracurricular activities. Given the competitiveness of the graduate jobs market, you should also take some extra steps to boost your employability. With that in mind, let’s explore 25 ways you can make yourself more employable (the last 5 tips are particularly relevant to graduates!). If you want to improve your job prospects, you’ll need to make a great first impression. According to TIME, employers spend about 6 seconds looking at a resume before deciding whether to keep it or discard it. As such, you don’t have long to capture their attention. In an interview situation, the window of opportunity isn’t much bigger. You have about 7 seconds to make a good first impression. Indeed, it is your non-verbal behavior that has the biggest impact during these initial 7 seconds. If you say all the right things, but do not convey a positive impression through your body language, this would ultimately make you seen less employable. Once you’ve learned the importance of positive body language, you can make some simple adjustments to improve your demeanor. To make a great first impression, consider the following tips. You only have 6 seconds to capture an employer’s attention, so try to create a clear and user-friendly resume. If you over-embellish your resume with wordy sentences, employers won’t dig around to find your best skills and attributes; they’ll move on to the next resume. Use concise phrases to summarize your skills, roles, and responsibilities – avoid long, flowery sentences. Use a clean and crisp resume template to format your resume and check your resume for any formatting errors. Formatting errors not only indicate laziness; they also imply that your IT skills are not up to scratch. Run the text through a grammar checker such as Grammarly or ask a friend to proofread it. If you follow all these tips, you’ll provide a good first impression on paper. Once you’ve impressed ‘on paper’, you’ll need to think about impressing in-person. Don’t underestimate the importance of looking smart in an interview. Dressing smartly shows you really care about getting the job. Not only that, employers want people who can represent their business in a professional manner. When it comes to looking smart, there are two main types of dress – corporate smart and business casual. According to Business Insider, you should take the time to research the company to decide whether corporate smart or business casual would be most appropriate. Try looking on their website or social media accounts to understand the type of environment you’ll be working in. For example, if you’ll be working in a client-facing, corporate environment, you should wear a suit. If you’ll be working in another office environment, or hospitality setting, business casual attire is probably more suitable. Turning up in suitable clothing will help you build rapport with the interviewers. It’s best to avoid wearing any bold prints or patterns as these might be distracting. However, adding a bit of color to your outfit could make a powerful first impression. According to color theory, blue signifies calmness, integrity, and intellectualism. Regardless of the type of job you’re going for, shaking hands with the interviewer is a professional and appropriate way to greet them. Even if the interview is not particularly formal, shaking hands shows you value their time and you are keen to make a good impression. Don’t wait for the interviewer to offer their hand. Some interviewers will intentionally hold back to see if you are capable of taking the lead in a professional situation. Have you ever met someone and felt instantly comfortable in their presence? Chances are, they had a positive facial expression and open body language. According to a study published by Concordia, smiling is vitally important for making a good first impression at an interview. According to this study, employers tend to interpret neutral facial expressions (neither smiling nor frowning) as threatening! Many people have quite a neutral facial expression regardless of how they’re feeling. Also, some people revert to a neutral expression when they’re feeling stressed or anxious. Unfortunately, neutral facial expressions can be misinterpreted by employers as a sign of boredom or hostility. So, when you go to shake your interviewer’s hand, make sure your smiling. According to the Pew Research center, this demand for soft skills has occurred due to changes in the US labor market. 50 years ago, many jobs were mechanical and repetitive, so soft skills weren’t as necessary as they are today. Soft skills are not necessarily taught at school or in the workplace. They tend to be learned through life experiences. To build soft skills, you’ll need to be self-aware and open to receiving constructive criticism. So, if you want to become more employable, make sure you can demonstrate the following soft skills. According to Pew Social Trends, the number of jobs requiring above-average levels of social skills increased by 83% between 1980 and 2015. In today’s world, many jobs are customer facing, team-oriented, or require you to communicate with lots of different internal and external stakeholders. So, if you only choose to improve one of your skills, it should really be this one. Think of some key examples where you have communicated effectively and be sure to highlight these on your resume. You could allude to your social skills in your resume summary (i.e. “a strong communicator”) and then provide tangible examples in the body of your resume. 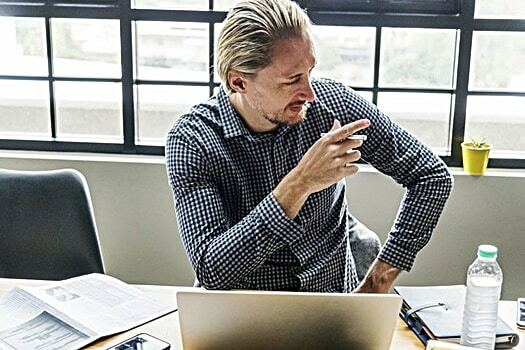 Good social skills can be demonstrated first-hand in an interview situation, but you should still come prepared with examples of when you’ve communicated effectively in the past. If you lack confidence when communicating, social skills can be developed through hobbies – as we’ll explore a little later. If you’re emotionally resilient it means you can bounce back quickly from negative events. Employers tend to prefer resilient workers because they can adapt quickly and work efficiently – even under challenging circumstances. You don’t need years of professional work history to be able to demonstrate resilience. Have you ever delivered a high standard of customer service in a busy and pressurized environment? Have you ever been told “no” by someone, but gone on to follow your dreams? Have you ever succeeded at a new fitness regime after failing to commit to it in the past? Resilience is a transferable “soft skill” so even if you give an example that is unrelated to the workplace, employers can still get a sense of how adaptable, optimistic, and energetic you’d be if they employed you. If you’re struggling to come up with your own examples of resilience, sign up for a free online MOOC in resilience training. Online short-courses can help you become more resilient, but they can also help you to identify times when you’ve shown resilience in the past. Many employers prefer candidates who can use their own initiative to solve problems. However, employers don’t want fearless people who will act without thinking. Instead, they’ll hire people who can make effective decisions and take strategic risks. “Tell me about a time when you have made a bad decision. What was the outcome? What did you learn from this situation? Questions like these can be difficult to answer on the spot so come prepared with some examples. Broadly speaking, decision-making skills are necessary for management jobs, but some employers will expect workers at all levels to demonstrate these skills. If you can’t work well in a team, you will struggle to thrive in many occupations. Most of us know how important this skill is from an employer’s perspective, but we often forget to mention it on our resume. When listing jobs on your work history, always clarify how big your team. Also, clarify where you were positioned within the overall structure of the team. Provide clear examples of how you operated within your team to achieve goals. If you’re invited to an interview, chances are you’ll be asked a question on the topic of teamwork. To help you prepare, think of 1 positive experience of working in a team and 1 negative experience. Comparing these experiences should help clarify the characteristics of ‘good’ teamwork. A positive attitude is extremely attractive to employers, partly because it suggests you’d make a good team player. If you are enthusiastic and optimistic, this suggests you’d rub along well with the rest of the team. What’s more, if you’re positive and willing to learn, employers are more likely to overlook other factors – such as a limited employment history or a lack of formal qualifications. As we’ve already discussed, smiling during your interview will help to convey positivity. 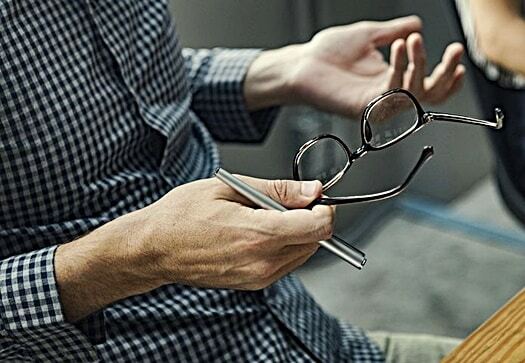 In addition, think carefully about the way you ‘frame’ your answers during an interview. If you’re asked to discuss something unfavorable such as a previous dismissal, or failure in an exam – try to frame it as a learning experience. Hard skills are the skills you learn through formal training, work experience, or education. Clearly, different jobs require different types of technical skills. Nevertheless, there are some hard skills which many employers value highly. So, consider up-skilling in the following areas. When reporting IT skills on your resume, be very specific. Indicate which computer packages and database systems you have used and whether you have basic, intermediate or advanced skills. Also, avoid writing that you’re a “fast typer.” Instead, test your words-per-minute typing speed and then report this score on your resume. Reading and writing skills are extremely important for many job roles. Having a high school diploma or degree certificate will demonstrate literacy skills. Nonetheless, you could consider developing your higher-level literacy skills, particularly if these skills are relevant to your chosen industry. For example, taking a course in writing or proofreading could make you more employable in certain industries. Good numerical skills will come in handy for most jobs. If the job you’re applying for requires above-average numerical ability, why not develop your higher-level mathematics skills? You could take a free online course in statistics, algebra, or data science to enhance your employability. If you’re applying for jobs that require above-average numerical ability, you may be asked to take a numerical reasoning test. It’s always best to practice these tests beforehand so you can see the types of questions that will be asked. Studies have shown that bilingual people are significantly more employable. Even if you just learn the basics of a second language, this will impress many employers. If you start learning a second language when you’re an adult, this demonstrates that you are highly motivated and willing to learn new skills. What’s more, if you attend regular face-to-face language lessons, you’ll build plenty of the soft skills we’ve already talked about. You’ll increase your confidence, social skills, and team working skills! Language learning as an adult can be really challenging, so if you persevere over many months or years, this can demonstrate resilience, too. Depending on the job you’re applying for, you may benefit from becoming certified. A certification is an endorsement of your professional skills by an independent (non-governmental) body. Licensing is different from certification because licensing is a requirement set down by the government for certain professions. Some professions do not require you to have a license, but you may still benefit from becoming certified because companies and clients place more trust in workers who are certified. Computer Scientists and Database Managers. Some Healthcare Jobs (Medical Coders, Phlebotomists, Health Records Technicians). If you’re unsure whether getting certified would benefit your job prospects, take a look at the advice and guidance on careeronestop. You might be reluctant to tell employers about your hobbies in case it appears unprofessional. However, disclosing personal interests actually helps to build your credibility because it shows you are human. If you withhold all personal information, it’s more difficult for employers to get to know you. If you’ve had one hobby for many years, you should certainly mention this on your resume because it demonstrates dedication and consistency. If you’re a job hopper or have lots of employment gaps in your resume, long-term hobbies can show employers you’re capable of commitment. Finally, as mentioned, employers prefer to hire people who are “well-rounded.” If you engage in a few different hobbies, you’ll build a diverse set of hard skills and soft skills. In fact, a study published by Sage Journals found that soft skills (such as team working, resilience, and social skills) are mostly learned through hobbies and extracurricular activities. This is because we learn better when we’re doing something fun and enjoyable! So, why not take up one of the following hobbies? Learning to play a musical instrument takes practice and dedication. As such, many employers will be impressed by a hobby like this. In our culture, we often associate musical talent with intelligence – and rightly so. According to Psychology Today, learning to play a musical instrument could actually make you smarter because it stimulates particular neural pathways in the brain. Many jobs require you to be comfortable speaking in front of others. You may need to speak in front of a large audience, conduct training sessions within your team, or simply contribute ideas during a meeting. If you find public speaking hard, it might seem too intimidating to try and improve your skills in the workplace. As mentioned, you’ll probably have more success if you try to improve your public speaking skills during your leisure time. If you’d like to become a better communicator, join a Toastmasters public speaking group. You’ll be given the opportunity to develop your skills in a fun and low-pressure environment. Also, don’t be afraid to mention this hobby on your resume because it shows you are committed to personal development. Lots of employers are drawn towards creative people. If you mention that you’re an artistic person during an interview, try to emphasize how this aspect of your character could help you succeed in the workplace. For example, arty people tend to think outside-the-box and can also show fantastic attention to detail. Moreover, if you’ve ever turned your creative hobby into a small side business, this is a great way to show off your commercial awareness. Volunteering is a hobby that could help to build soft skills and hard skills. If you’re trying to find work in a competitive sector, volunteering for an organization within your chosen sector may help to boost your employability. On the other hand, volunteering for an unrelated organization could be just as meaningful because you’ll still be able to develop valuable soft skills. In fact, it’s best to volunteer for an organization that’s close to your heart as you’re more likely to stay committed. Volunteering is generally impressive to employers because it shows you are altruistic and energetic. Don’t forget to emphasize which skills and competencies you’ve developed through volunteering. According to a review by Taylor and Francis, being part of a sports team is a very good indicator of employability. Indeed, many companies assume sports players will have a good selection of soft skills. For example, if you regularly play sports in a team, this suggests you are a strong communicator, you have good social skills, and you can bounce back after a defeat. In addition, it suggests you are physically energetic, competitive, and can operate within a rules-based setting. If you want to move into a leadership or management position, being the captain of a sports team could provide you with invaluable experience. As a captain, you’ll learn how to motivate others and make strategic decisions. According to NCES, 1.9 million Americans will graduate with a bachelor’s degree in 2018/19. With so many graduates competing for the same jobs, you’ll need to stand out. Having a degree alone is rarely enough to secure a good graduate job; you’ll need to offer a wide range of skills and attributes. The tips mentioned thus far will be really helpful for achieving that, but – as a graduate – you might need to think bigger. Here are some additional tips to enhance your employability as a graduate. According to a recent report, graduates who have work-based learning on their resumes are significantly more employable than those who don’t. As a graduate, you might not have any paid employment experience, but internships and placements can be just as impressive. Ideally, the work-based learning should be relevant to the industry you want to enter. However, most companies would agree that some work experience is better than none. So, if the only job you’ve had is serving tables in a restaurant, don’t leave this off your resume. It demonstrates you have a good work ethic. Don’t forget to highlight the skills you learned and your key achievements. When it comes to the interview, emphasize how your prior work experience has prepared you for the role you’re applying for. Has if afforded you customer service skills? Negotiation skills? Commercial awareness? If you do this, you’ll emphasize a varied skill set. At the same time, you’ll show employers that you’ve visualized yourself in your new role, and you fully understand the duties you’ll be required to fulfill. Psychometric tests have already been mentioned in this article, but they are perhaps most relevant to graduates. Lots of employers who target graduates use psychometric tests to determine employability. Psychometric tests can measure your aptitudes (i.e. verbal and numerical reasoning) or your personality traits. Aptitude tests are usually timed, so you need to be able to work quickly. Plenty of websites offer free aptitude tests, so you can train yourself to become quicker at these tests. You can’t really ‘train’ yourself to score highly on personality tests because they assess your character traits. Also, you shouldn’t try to ‘trick’ these tests because they’re built to detect inconsistent responses. Nevertheless, it’s a good idea to try a few free personality tests so you can feel comfortable with the format. Many graduate jobs involve management responsibilities. As such, you’ll need to demonstrate leadership skills on your resume. When filling in the “work history” and “extra-curricular activities” sections of your resume, use terminology that infers leadership skills. These statements suggest you are a proactive person who initiates change. Avoid simply writing “leadership skills” on your resume as there is not much tangible evidence in a statement like that. Once you’ve established this information, prepare a short “pitch” that lasts between 20 and 30 seconds. Practice this pitch each day until it becomes second nature. Then, next time you’re called for an interview, you’ll be able to introduce yourself with confidence. Companies want to hire graduates with drive and ambition. If you can deliver an interesting and succinct elevator pitch, this will convince employers that you can take charge of your own development. Remember, don’t make your pitch too long as this could come across as egotistical. Also, when you’re introducing yourself, pause at suitable moments in case the interviewer wants to cut in and open up a conversation. A recent report from Coventry University found that, while lots of graduates have strong academic skills, many graduates lack business acumen. So, if you want to stand out in a saturated graduate market, show employers that you understand how business works. One of the best ways to do this is to become involved in a small business or enterprise. If you were involved in any entrepreneurial projects during your degree, mention this on your resume. You can also demonstrate business acumen by keeping up-to-date with financial journals and newspapers. If it’s appropriate, you could try to mention a topical news story during your interview. If you know you’re lacking basic business acumen, why not take a free online short-course to boost your knowledge in this area? If you want to work for a company that has offices throughout the world, developing your global awareness should be top of your agenda. Indeed, many larger companies will actively recruit graduates who have a strong understanding of other cultures. So, how can you demonstrate you have global awareness? If you have experience of the above, be sure to mention it during an interview. Don’t forget to mention how your experiences have increased your global awareness. What’s more, describe how your experiences will influence your attitudes as an employee of a global company! Are You More Employable with a Master’s Degree? If you’ve finished your bachelor’s degree and you’re struggling to find suitable employment, perhaps you’ve considered enrolling on a master’s degree. Having a master’s degree can enhance your employability in some cases, but it can also be a waste of money in some cases. It’s important to consider why you want to enroll on a master’s degree. If you want to access a specific occupation that requires you to hold a master’s degree, you could be making a great investment. However, if you’re still undecided on your career path, and you’re just enrolling on it to “boost your employability skills” this could be a bad decision. As we already discussed, graduates who can demonstrate work-based learning are considered more employable. If you’re not sure which career path to follow, you might be better off working (in any industry) for a couple of years to build your work-based skills. Being employed will enable you to develop your skills and clarify your career goals. After working for a couple of years, you’d be in a better position to pick a master’s degree that will enhance your career. In this article, we’ve shown you 25 skills, attributes, and competencies that can make you more employable. You probably already have many of these skills, but you might not be presenting them in the best light. Show off your “soft skills” – list 5 skills on your resume and prepare examples to talk about during an interview. Show off your “hard skills” – make sure you’ve mentioned at least 5 technical skills on your resume. Keep your resume up-to-date and list all instances of work-based learning (even if it was unpaid work). List 3 hobbies or extracurricular activities on your resume – highlight the key skills these hobbies have taught you. Make a great first impression – dress smartly, shake hands, and don’t forget to smile. From an employer’s perspective, the more skills you have the better. Unfortunately, new skills can’t be learned overnight; it takes time to become a well-rounded person. As the saying goes – “the seeds we sow today are the plants that bloom tomorrow.” So, for now, seize every learning opportunity that comes your way, and take up an exciting new hobby every once in a while. That way, you’ll always have something interesting to talk about in your interviews.